Chloë Grace Moretz plays Frances, a recent transplant to New York City who's grieving the death of her mother and perhaps unconsciously seeking a bond with a surrogate maternal figure. Enter Isabelle Huppert, Queen of France, who plays the titular Greta—a lonely widow with shiny black fingernails filed into points, a habit of leaving stylish leather purses on the subway, and a daughter-shaped hole in her heart. 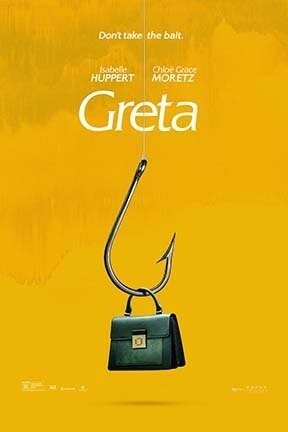 Greta is billed as a “twisted little thriller,” and if you don’t take it seriously, it’s 98 minutes of campy fun riffing on the trope that naïve newcomers will get “eaten alive” by New York City. But under closer examination, it’s just another example of a harmful narrative in which young women are violently punished for trusting a stranger. I think we see enough of that in real life.